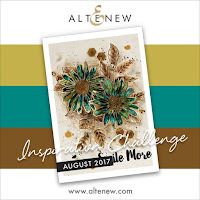 Playing along this week with Altenew's Inspiration Challenge. 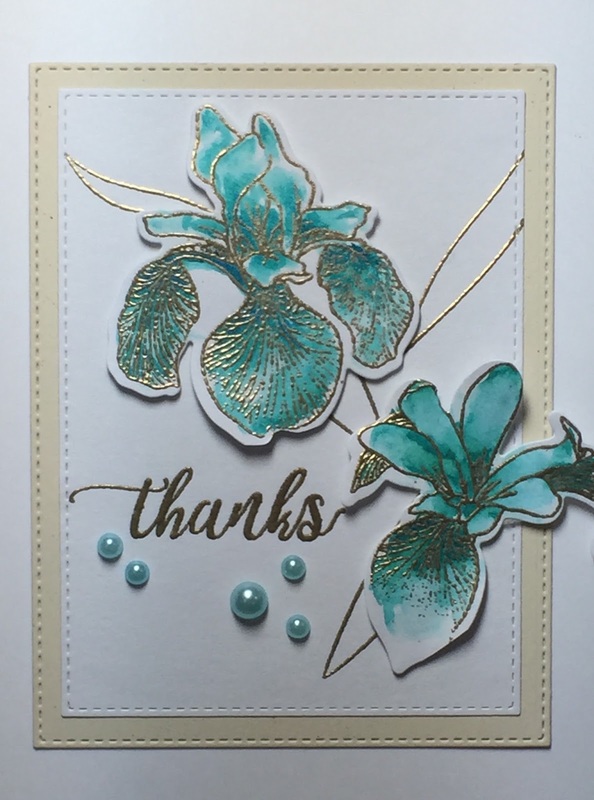 Using the Enchanted Iris set, I stamped the flowers, leaves, and sentiment with Versamark, then heat embossed with gold embossing powder. Then I lightly colored the flowers with shimmering watercolors in turquoise, die cut them, and mounted them on white cardstock using pieces of foam mounting tape for dimension. I used two graduating sizes from my Cottage Cutz Stitched Rectangle set from GinaK Designs to create the layered frames, then mounted them to Neenah solar white 80lb. card stock. For the finishing touch I used several turquoise pearls from my stash. Thanks for viewing! Thank you, Erum. You inspired it!